How do I Stop a Wage Garnishment in Jacksonville? Stopping a Wage Garnishment is essential and often one of the leading causes of bankruptcy filings in Jacksonville, Florida. A Jacksonville Bankruptcy Lawyer can help protect individuals and stop a wage garnishment. Many people receive a wage garnishment as a result of debt that they owe such as an unpaid credit card bill, personal loan, or deficiency from vehicle repossession. A wage garnishment occurs when a court order compels your employer to deduct a percentage or dollar amount from your paycheck. The amount that is deducted is then given to your creditor. The wage garnishment will continue until the creditor is paid in full. Must a Creditor Obtain a Judgment Before Having a Wage Garnishment Entered? In Jacksonville, your creditor must first obtain a judgment from a court before they can request a court order to garnish your wages. Once the judgment is issued, your creditor only has to file a motion called a "Motion for Continuing Writ of Garnishment" with the Court. Once the Writ of Garnishment is received, it can be served on your employer. Unfortunately, you often do not find out that your wages have been garnished until your wages have already been garnished or it is too late to stop your wages from being garnished. Are There Exemptions to Help Stop a Wage Garnishments in Jacksonville? Florida has very specific exemptions to stop a wage garnishment. It is important to find out if you can stop your wage garnishment through one of the exemptions recognized in Florida. If you are lucky enough to qualify for one of these limited exemptions, the wage garnishment can be stopped. The most significant exemption allowed in Florida is the head of household exemption. If you are head of household, you can often stop a wage garnishment. However, qualifying for this exemption can be difficult for some. You can only qualify for the head of household exemption if you provide at least fifty-one percent of support for a child or other dependent in your home. It is important to note that the person who makes the most money is not always the "head of household," The exemption is only for the person who provides the most support for the household. You must also receive W-2 income in order to qualify for the head of household exemption. You receive W-2 income only if you receive a pay stub. If you are not given a pay stub but are instead a 1099 employee or are self-employed, the head of household exemption will most likely not be available to you. This often includes real estate agents who are paid with a 1099. However and in spite of this, it may possible to create a company which receives these 1099 payments. The payments can then be converted into income in the form of a W2 paycheck. A Jacksonville asset protection attorney can help you determine if this exemption or any of the other exemptions might be able to help you stop your wage garnishment. What if I do Not Qualify to Stop a Wage Garnishment With an Exemption? If you live in Jacksonville and do not qualify for one of Florida’s exemptions to stop a wage garnishment, you may have to consider filing for bankruptcy protection to stop the garnishment. You should talk with a Jacksonville bankruptcy lawyer about any other option that might be available to you. Regardless of whether you can qualify to stop the garnishment through one of the garnishment exemptions or need to explore filing bankruptcy in Jacksonville, you should talk with a Jacksonville lawyer to discuss which option makes the most sense for you. Filing bankruptcy in Jacksonville can not only stop a wage garnishment, but filing bankruptcy in Jacksonville can also remove the entire liability. If this happens, you will not owe the debt at all. In fact, the company may have to repay all of the garnished amounts that were removed from your income before the filing of the bankruptcy in Jacksonville. How Does Filing Bankruptcy Stop a Wage Garnishment? 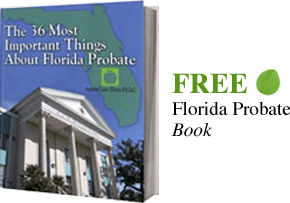 Filing bankruptcy in the Jacksonville Bankruptcy court can stop a wage garnishment because the bankruptcy court will impose "an automatic stay" at the time the bankruptcy petition is filed. This automatic stay orders all creditors to stop everything they are doing in their efforts to collect the debt you owe them. This means that your creditors must stop calling you, emailing you, sending you letters, etc. What About Stopping a Wage Garnishment Because of Child Support? An exception to stopping a wage garnishment in Bankruptcy is if your wages are being garnished because of a priority debt such as child support. The automatic stay does not stop priority debts from continuing to be garnished. Will All Other Collection Efforts be Stopped When I File Bankruptcy in Jacksonville? The automatic stay will stop all collection efforts of you creditors until you are issued your bankruptcy discharge by the court, the bankruptcy is dismissed, or the court grants permission to your creditor to continue the wage garnishment or other collection efforts. What Other Ways are There to Stop a Wage Garnishment in Florida? A Jacksonville bankruptcy lawyer can talk to you about the best or top ways to stop a wage garnishment. These will often involve steps to prevent a wage garnishment order from ever being entered. You can often prevent a wage garnishment order from being entered in one of two ways. One way to stop a wage garnishment is to contact your creditor and work out a repayment plan to pay off the debt. Once an agreement is reached, and as long as you make the agreed upon payments, then a wage garnishment order should not be entered against you. The second way to stop a wage garnishment is to go ahead and file bankruptcy. If you have more than one debt, or you cannot afford a repayment plan, bankruptcy may be the right fit for you. You can contact your creditor to work out a repayment plan and/or file bankruptcy to discharge your debts as soon as you fall behind on your payments, when a lawsuit has been filed against you, or even after a judgment has already been entered. Contact an experienced Jacksonville Bankruptcy Lawyer today to learn what option might be best for you and your family. If you are expecting your wages to be garnished or are already having your wages garnished, please contact a Jacksonville Garnishment attorney who also handles bankruptcy law to discuss your options. An experienced bankruptcy attorney can help you determine whether filing bankruptcy is the best way for you to stop your wage garnishment. Contact the Law Office of David M. Goldman, PLLC today for a free initial consultation for stopping a wage garnishment.